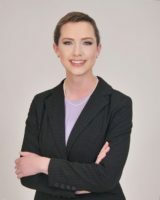 Caroline Hipple is the Director of Communication and Events for the North Carolina Association of Community College Trustees. Previously, she served as NCACCT’s Events Coordinator for the last two years. Caroline leads the efforts to develop communication strategies to provide additional timely and meaningful information to our Trustees and Presidents, as well as work to develop new training opportunities at NCACCT Seminars. Raised in Union County, Caroline previously worked for eight years with Wake County Government as an HR Program Assistant and Benefits Specialist. Please contact Caroline for information regarding seminars and meetings, sponsorship opportunities, trustee training and certification, community college news and updates, and any other inquiries.